At the Vida Vegan Con conference -- that's the vegan blogger conference for those of you not "in the know" -- we received goodie bags filled to the brim with fantastic food! 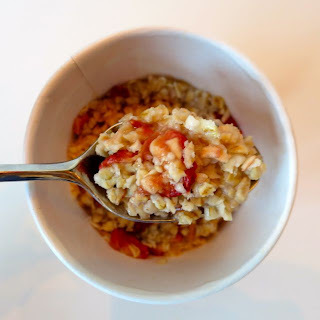 And one of the items was a cup of oatmeal from Straw Propeller Gourmet Foods. When I got home, I dug in and found the cup of oatmeal so delicious that I asked for more. Not only did they send me more samples, but they also offered to give away a bunch of oatmeal to two lucky winners (see below). That's a win-win! 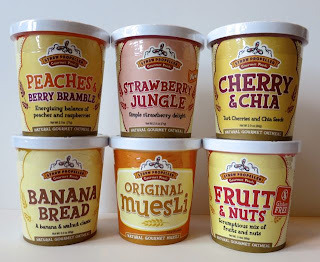 As far as the oatmeal goes, I loved all six flavors that they sent me! They offer twelve different flavors of oatmeal including a few gluten-free flavors along with three different flavors of muesli. The one thing that was consistent is that they were all loaded with stuff! 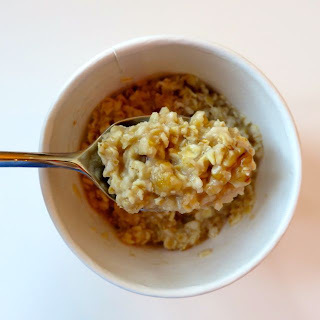 I don't mean just oatmeal -- they were loaded with all the extras. And since they are all natural with nothing artificial or preservatives, it's all good-for-you stuff. Take the Peaches and Berry Bramble for example -- loaded with raspberries and peaches, I found this one to be slightly sweet, but not overly so. 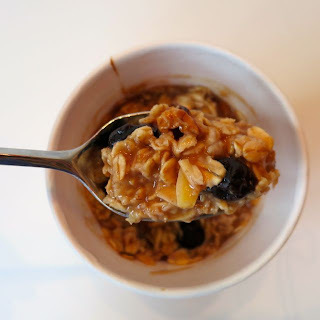 The Fruit & Nuts is filled with gluten-free oats, dehydrated sugar cane juice, raisins, super juicy blueberries, cherries, cinnamon covered walnuts, and slivered almonds. This one was a bit high in calories and fat at 340 calories and 8 grams of fat, but it tasted so good. For each of them, you just fill them with 1/2 to 3/4 cup of boiling water, put the lid on, wait 3 minutes, and voila!, you have oatmeal. The Banana Bread truly tastes like banana bread in oatmeal with chunks of banana and walnut. 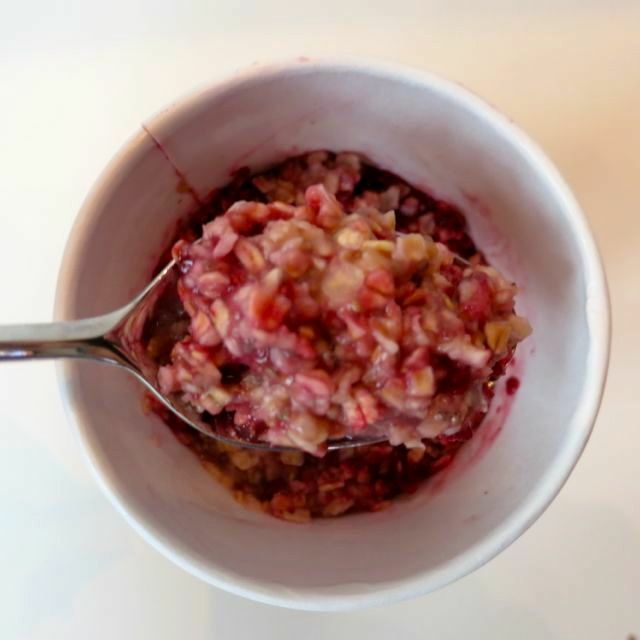 The Strawberry Jungle has freeze-dried strawberries, rolled oats, evaporated cane juice, and sea salt. This one only had 3 grams of fat, but not enough flavor. Oh, and the Cherry Chia was delish! 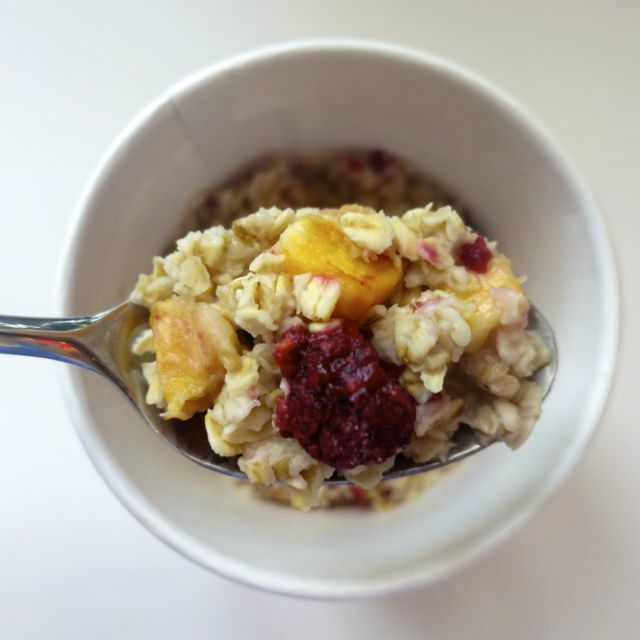 Tart Cherries and Chia Seeds, oh my! Lastly, I had the Original Muesli. 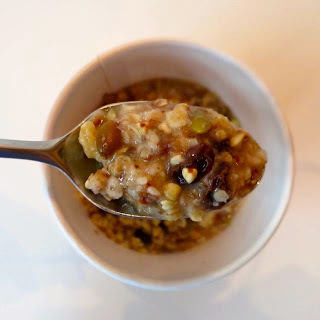 The buckwheat groats gave it a crunchy, hearty taste while the raisins, dates, pumpkin seeds, walnuts, and flaxseed were all icing on the cake. Straw Propeller Oatmeal is available in coffee shops and grocery stores nationwide like The Fresh Market, Earth Fare, and Market of Choice. In DC, they are available at Tynan's. Each cup retails for $2.99-$3.75. 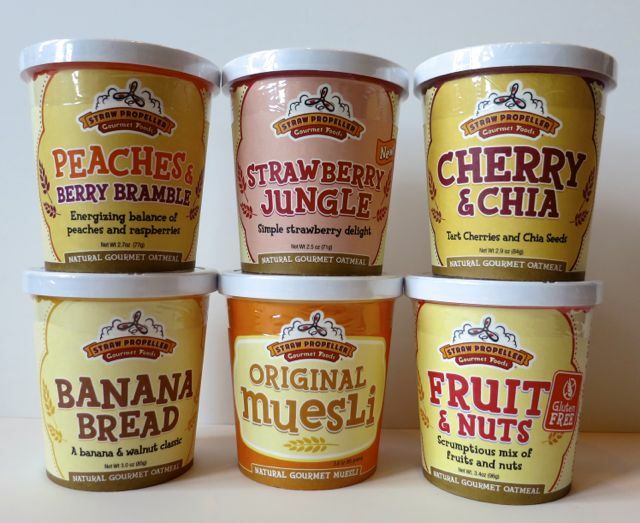 These are all so good and somewhat hard to find so I thought it would be great to give away TWO 12-packs of oatmeal! Just enter below for a chance to win! Winners will be announced on this blog on Tuesday, August 20. Hi Angela, I followed you on Twitter, @LindsayOGreen. And my name is Lindsay Oberst. Thank you!